The Media Factory UGC management system provides end-user uploads, a powerful moderation workflow and a variety of interactive applications to complement the Ooyala Backlot platform. When videos are uploaded to Media Factory, they can then be sent to your Backlot account. This keeps all of your video assets under one roof for analytics and ad serving. Tags will be processed as is and sent over to Ooyala as Ooyala tags in the manifest. 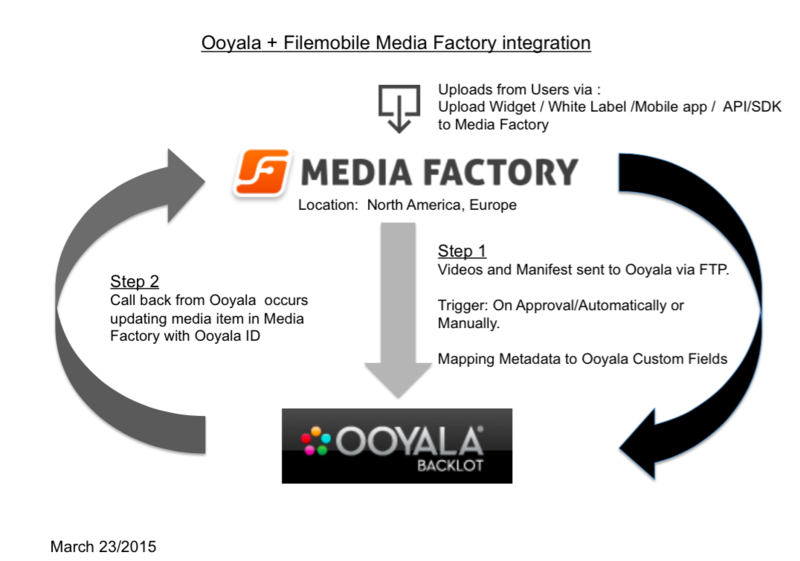 To pass Ooyala custom fields, prefix Media Factory metadata with ooyala:. For example, if the name of your Ooyala custom field is categories and the value is Sports, you would create and populate the metadata field in Media Factory as ooyala:categories with the value Sports. Using these keywords in with the ooyala: prefix will allow you to set certain values within the Ooyala Manifest. Be the first to comment on Transfer to Ooyala.